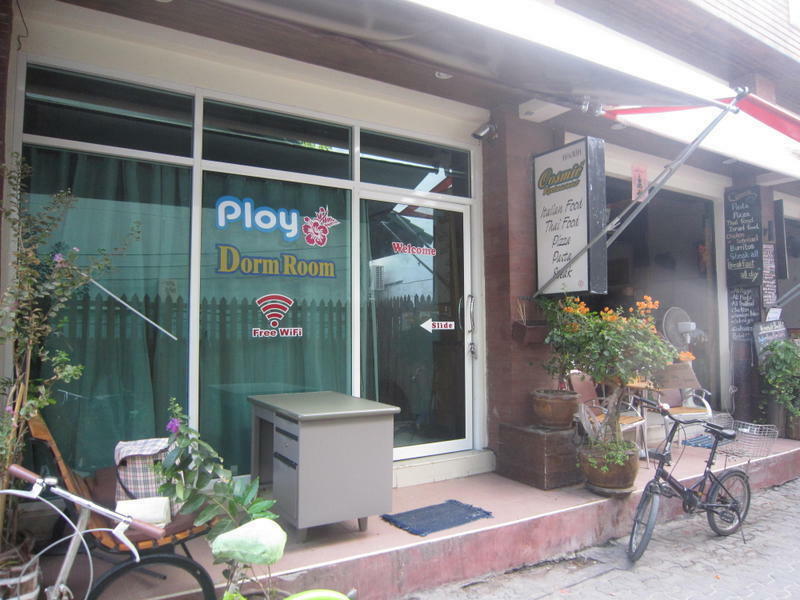 Brand New hostel in the center of town, Ploy Dorm Room welcomes the friends from all over the world. It is walking distance to the main beaches. In the heart of town, you will have an array of bars, shopping, restaurants and dive shops at your convenience. About a 5-10 minute walk from the arrival Pier. Enjoy the local market or plan a local tour at any of the nearby offices. 24 hour security and reception are offered in the hostel, making your stay much safer. Lockers are provided to all our guests as well. There are one room of 8 beds, one room of 6 beds and one private room with a double bed with air conditioner and hot shower available. In addition, a restaurant is the hostel, and provide you with local Thai, Italian, and western food. From the pier walk on the street to the right. Follow this road along the coast and turn left at the third street where island divers is located. Walk down this street until you arrive at our location on the left.